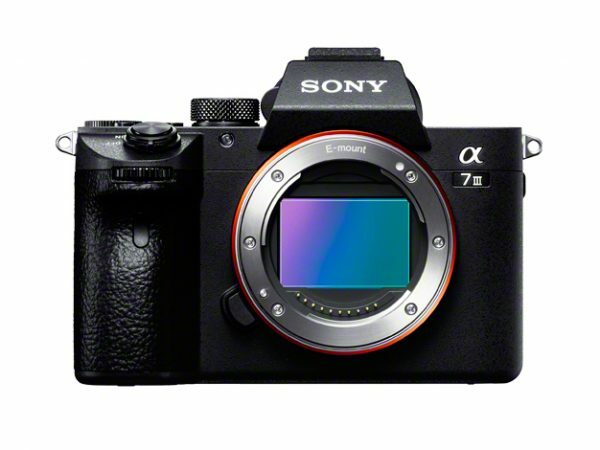 New Sony A7 III just announced - compared with the A7 II what has changed? The new Sony A7 III just announced is unsurprisingly the third generation of the series and includes a number of improvements and innovations compared to it’s predecessors the A7 II and original A7. 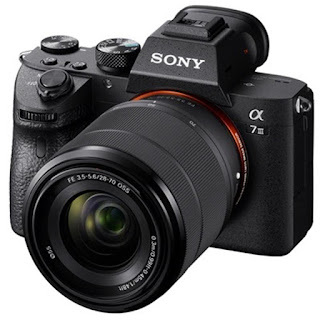 The fact that the original A7 is still available to purchase new having been launched in 2013 shows just what a great base Sony had to work with when developing the A7 II and now the brand new A7III. The A7 III features a new 24mp BSI CMOS sensor with ‘evolved’ image processing , 10fps continuous shooting and 4K HDR video recording. Maximum extended ISO now goes to a mind-boggling ISO 240,800 and there are 693 AF points. The A7 III also gains a much larger battery (NP-FZ100) which leads to improved battery life of up to 710 shots- the longest rating of any mirrorless camera and over double that of the A7 II. SuperSpeed USB (USB 3.1 Gen 1) tethering is also supported and will work with Imaging Edge software and there is a USB-C terminal included as well as dual SD card slots (one of which is UHS-II compatible). Sony are claiming a fantastic 15-stop dynamic range at low ISO sensitivities and a very useable ISO 100-51200 ISO range with expansion down to ISO 50 and up to 204,800. The 693 AF points cover 93% of the image area and fast and reliable Eye AF is available along with 425 contrast AF points and 4D FOCUS capabilities inherited from the speed-king A9 model. 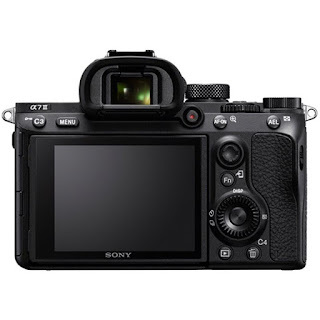 A joystick has also been incorporated in to the cameras design and focussing is said to be twice as fast as the A7 II. Touch focus capability and AF availability in Focus magnifier mode are further improvements along with the provision of an AF-on button so the shutter release and AF functions can be separated. The 10fps frame rate is available with either the mechanical shutter or silent electronic shutter and includes full AF and exposure tracking for up to 177 standard JPEG images or 89 compressed raw images and can shoot at up to 8fps in live view mode with uninterrupted live view. The improved buffer allows many key functions to still be operated on the camera even while a large image burst is being written to the memory card(s). Anti-flicker mode can also be engaged. The superb 5-axis in-body stabilisation (IBIS) system claims a 5-stop advantage and video users are well catered for with high resolution 4K movie shooting with full pixel readout and no pixel-binning across the whole width of the full-frame sensor. HLG (Hybrid Log-Gamma) picture profile supports an instant HDR workflow with S-log2 and S-log3 also available along with Zebra functionality, Gamma Display assist and proxy recording. Full HD can be recorded at 120fps at up to 100Mbpsvi allowing 4x or 5x slow motion video files in Full HD resolution with AF tracking! 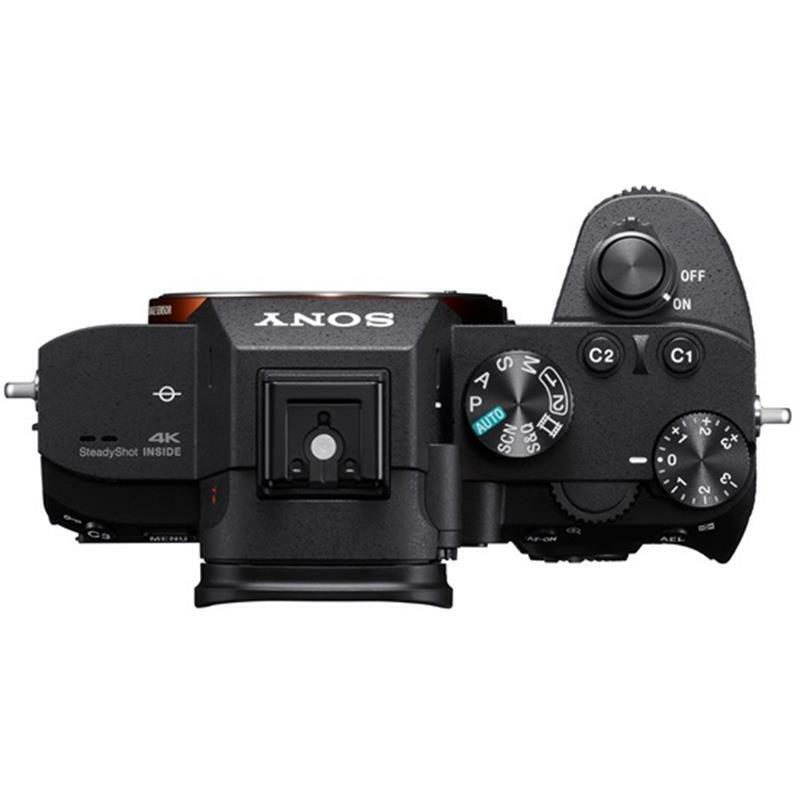 The newly developed sensor doubles the readout speed thanks to a new front-end LSI and the updated BIONZ X processing engine boosts processing speed by 1.8x compared to the A7 II. Sony are claiming a 1.5 stop improvement in image quality and the ‘My Menu’ functionality allows up to 30 menu items to be registered for instant recall. The 2.3 million dots XGA OLED Tru-Finder offers a superb view of your subject - with increased 0.78x magnification compared to the A7II 0.71x -and the camera is capable of seamless image transfer via built in Wi-Fi. So, overall a complete package and ideal all-round model with excellent resolution, low-light capability and speed combined with outstanding AF and video performance. You can pre-order now from Park Cameras and be sure to receive one of the first to arrive in the UK by clicking this link. Park Cameras will also be offering enhanced part-exchange against the A7 III - please call our contact centre on 01444-237070 to arrange a quote.